Another early Kankakee River pioneer was LaBonta. This is another tale where the details are a bit sketchy. With all written about him I have not discovered his first name. 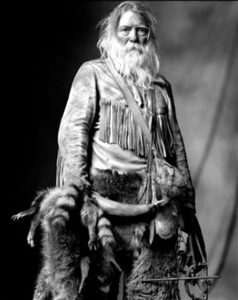 McFadin wrote of LaBonta “He was a splendid specimen of a man 6 feet tall and straight as an Indian and about 40 years old and of French extraction. His father was a St. Louis Frenchman, his mother a native of Tennessee.” He traveled with “his father to St. Louis every spring and saw the different bands of traders and hunters start upon their annual expeditions to the mountains.” This is where he decided to take up the life of a hunter and trapper. After many hair raising adventures in the Rocky Mountains Killbuck and LaBonta decided there was too much danger from Indian attack in the Rockies and removed themselves to the Kankakee Marsh where they hunted and trapped for the rest of their lives.